England - Devon - North Devon Holiday Park in Westward Ho! Surf Bay Holiday Park in Westward Ho! 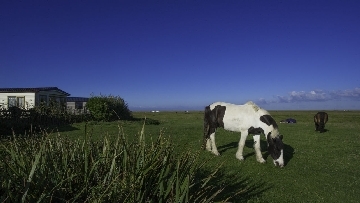 Surf Bay Holiday Park is situated in the village of Westward Ho! on the North Devon coast. Westward Ho! is a holiday village with a growing reputation and has seen a significant investment in the village and infrastructure recently, making it the fastest growing holiday accommodation hot spot in the area. It is easy to see why, there is a stunning long beach that is perfect for families to enjoy, with lifeguards during the summer months and great surf. There is plenty to do within the village, interesting shops, high quality restaurants serving food from around the world and traditional Devon cafes where you can find a great cream tea. There are lots of activities for families here, right on your door step. Enjoy the beach, body boarding, surfing or fishing in the rock pools, there is even a sea pool to enjoy. The South West Coastal path goes through the village offering a great walk, perfect if you want to take a dog. The nearby Royal North Devon Golf Course is the oldest in England and offers some challenging links golf. The village also has amusement arcades and a go kart track with several nearby attractions including two theme parks and some great independent shops in the nearby town of Bideford. The self catering accommodation at in Westward Ho! at Surf Bay Holiday Park includes a range of high quality luxury static caravans and four star self catering apartments. The holiday apartments in Westward Ho! 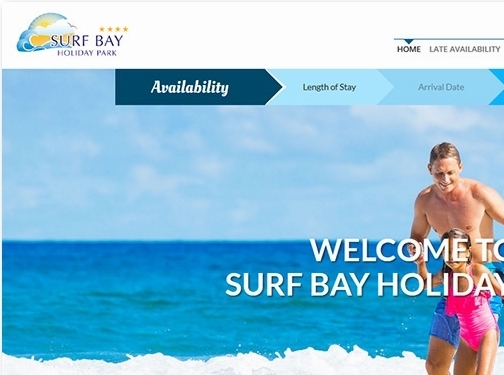 at Surf Bay Holiday Park are designed to be stylish and individual with all of the facilities you would need including underfloor heating, jacuzzi baths, large smart tvs and some have hot tubs, balconies and private gardens. The static caravans are all family friendly, spacious and modern sleeping up to 8 people and are ideal for families looking for a cost effective holiday park near the beach in Devon. 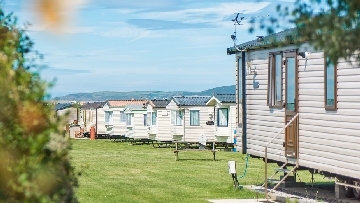 Surf Bay Holiday Park has static caravans that can feature double glazing, central heating and even a dishwasher as well as all of the modern facilities that you would expect from en-suite showers to wireless speaker docks. 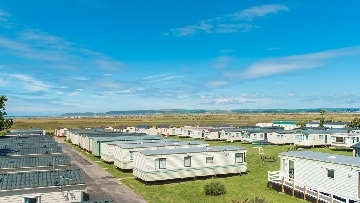 The range also includes dog friendly caravans in Devon, perfect as the holiday park is located next to the huge Northam Burrows with vast amounts of space for dogs to enjoy and places to explore with the beach just a short walk away. 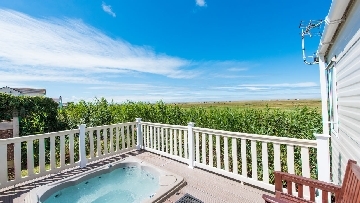 You can find a range of Devon holiday caravans with hot tubs here, enjoy your own personal hot tub and relax in style, great after a day down the beach or a long walk. If you would like to visit our family friendly holiday park in Westward Ho!, our contact details are below and you can find out more by visiting our website at www.surfbay.co.uk.